Maybe you know someone who’s had a bad experience when buying radio gear online from a private party, and maybe you don’t. At QRZ, we’ve been tracking and monitoring our online swapmeet for years now and despite our best efforts, some people are still being taken. The story is always the same, a user answers an ad posted on QRZ and contacts the seller. Usually, the radio is fairly expensive but being offered at a great price. The buyer then sends the money to the seller, and never receives the goods. Over the past 10 days, I’ve been exchanging emails with one of the scammers while negotiating for the purchase of a supposed FTDX-9000. This particular scammer has already taken money from other QRZ members and we know this because his third-party money launderer is the same. Just follow along as I include the original ad as well as the emails that we shared with each other. Note: all of the email addresses, bank account numbers, and other personal information is the actual data that was given to me by the scammer. We are not hiding anything so that this thief can be completely exposed. The amateur AA1AX, who is mentioned several times in this article, has absolutely nothing to do with the deal. His callsign was stolen by the scammer. I am supplying the custom made dust cover which has always been on the rig when not in use which is most of the time. The rig is perfect in every way, it is complete as supplied direct from Yaesu. This is simply the ultimate rig, Period !! 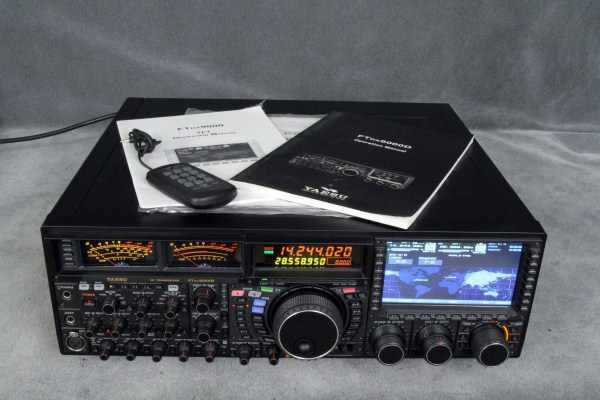 The Yaesu FTDX9000 series continues in the proud tradition of the FT-1000D. Covering HF and 6 meters, this is The 200 watts, large TFT, built-in memory board, main & sub receiver VRF, full dual rx, internal power supply. The leading edge TFT display on the FTDX9000D gives you unprecedented information and access to dozens of features and settings. Note that the email address shown above is real and it belongs to the scammer. The scammer identified himself as AA1AX however, looking at the account info at the bottom of the swap listing, it indicated that the user joined QRZ just the day before. Note to self: beware of expensive radios being offered by people who just came online. To start the scam, the scammer needed a QRZ login account. He found a callsign that was not associated with a QRZ account and went to GMail and created a fresh new account that matched his target callsign. Using the newly minted gmail account, he went back to QRZ and opened an account for AA1AX. Then, once logged in AA1AX, he posted the for-sale ad. Note: AA1AX is Paul Batutis, a ham who lives in Massachusetts but is not a QRZ member. I’m interested in the radio. Can you please send some pictures? How shall I send payment, and what kind of shipping will you use? Payment via bank transfer , kindly write me your full mail address, i will double box it for you and mail it down to your address . Note how I sent him QRZ’s company address. This didn’t seem to phase him at all. Thanks for your respond, Kindly proceed with the below details to my wife bank account . Kindly get back with a scan copy of payment slip and necessary transaction details. A couple of things to note about this. First, we had a complaint last month from a QRZ member who actually sent money to this same bank account, and Annette Swartz. When he reported it to us we explained to him that he had been scammed, and that he should have known better than to send a wire transfer of funds to a third party having a different name than the seller. He had a difficult time accepting this and he called the police on the ham whose callsign was used as a cover. It took a while for us to convince him that the person he thought he was dealing with wasn’t a ham at all and that the callsign had been stolen. Note also the poor spelling and punctuation. There is a strong indication that the perpetrator is from overseas. The IP address he used to register for the fake AA1AX account originated from Australia, however this cannot be confirmed. 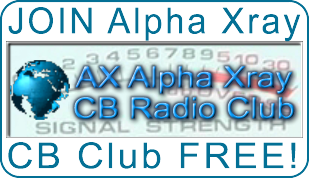 This entry was posted in ALL Articles, CB Radio's, HAM Radio's by Greg 43AX005. Bookmark the permalink.